You can receive email notifications when a message is received. Here we will show how to change the settings for email notifications for messages. 1. From the upper right of the screen, click on "User name", then on "Settings"
2. Click on "Email notifications"
3. 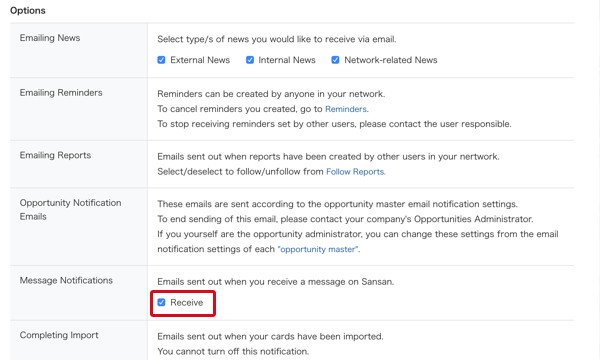 Select whether you wish to receive notifications in "Message notification email"